The latest trailer for the all-female spin-off film Ocean’s 8 has just dropped, and it looks like it’ll be outrageous fun. Frank Sinatra’s original 1960 Ocean’s 11 film and the early 2000’s rebooted series all starred charismatic leading men in the ensemble casts. Although the films were enjoyable, admittedly the concept began to feel dated, rather than Rat Pack retro, and so, 2018 welcomes an Ocean’s film like no other, one we’ve been waiting for, for years. Reimagining the traditional Ocean’s format, the latest addition in the franchise has the series’ trademark dry wit, humour and suave nature but with one key twist – the heist crew are all women. Not just any women either. Ocean’s 8 features a stellar cast, including Hollywood superstars Sandra Bullock, Cate Blanchett, Anne Hathaway and Helena Bonham Carter. Popular singer Rihanna, comedian Mindy Kaling and rapper Awkwafina round off the incredible ensemble. Director Gary Ross helms the film and since he’s already impressed us with his work on The Hunger Games and Seabiscuit, I’m sure the project is in safe hands. Focusing on Bullock’s character ‘Debbie’, the estranged sister of George Clooney’s Danny Ocean – from the reboot – the film follows the criminal mastermind as she attempts to pull off the heist of the century following a stint in prison. Five years, eight months, 12 days… and counting. That’s how long Debbie Ocean (Bullock) has been devising the biggest heist of her life. She knows what it’s going to take — a team of the best in their field, starting with her partner-in-crime Lou Miller (Blanchett). 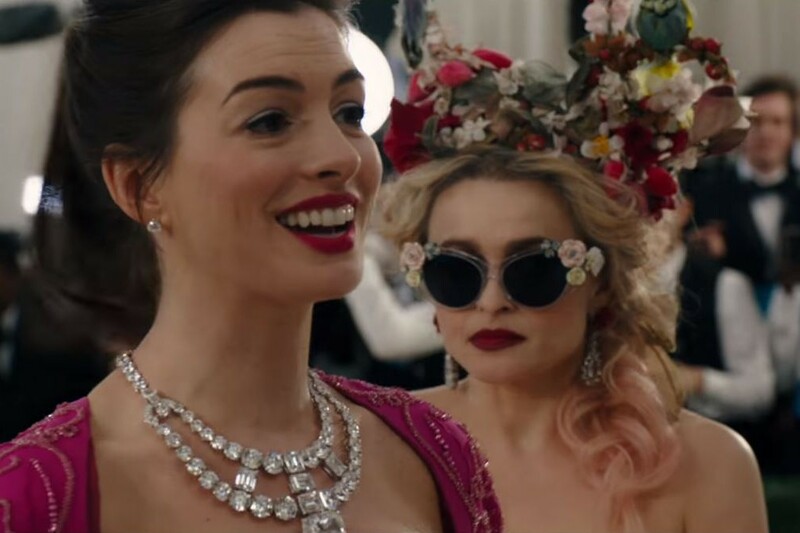 Together, they recruit a crew of specialists: jeweller Amita (Kaling); street con Constance (Awkwafina); expert fence Tammy (Paulson); hacker Nine Ball (Rihanna); and fashion designer Rose (Bonham Carter). The target is a cool $150 million dollars in diamonds — diamonds that will be around the neck of world-famous actress Daphne Kluger (Hathaway), who will be centre stage at the event of the year, the Met Gala. Since the film takes place at the globally famous Met Gala we also know there’ll be plenty of cameos, especially as Kylie Jenner, Kim Kardashian, Anna Wintour and Zayn Malik have all been confirmed to make appearances. We seriously can’t wait to see it! Ocean’s 8 shimmies its way into UK cinemas June 22 this year.